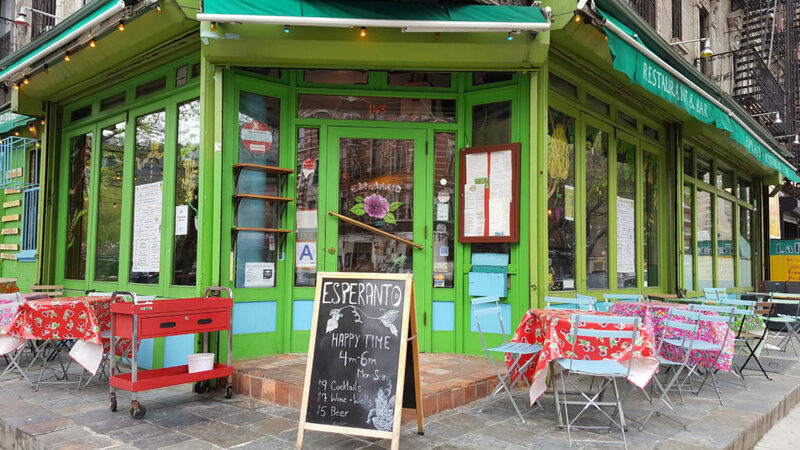 Esperanto is a fun, brightly colored Brazilian and South American food joint on 9th and C.
The open and inviting bar boasts a nice selection of unique cocktails, like the mazcalita, made with mescal, lime juice and ginger (right). 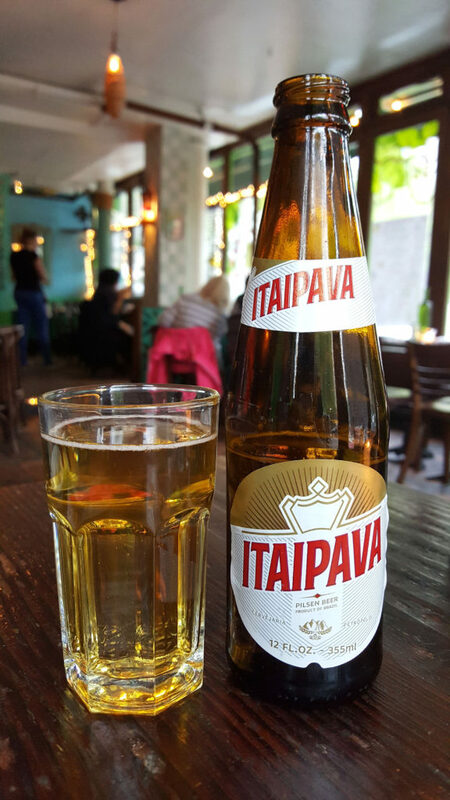 There’s even some hard to find Brazilian beers available, like Xingu and Itaipava. 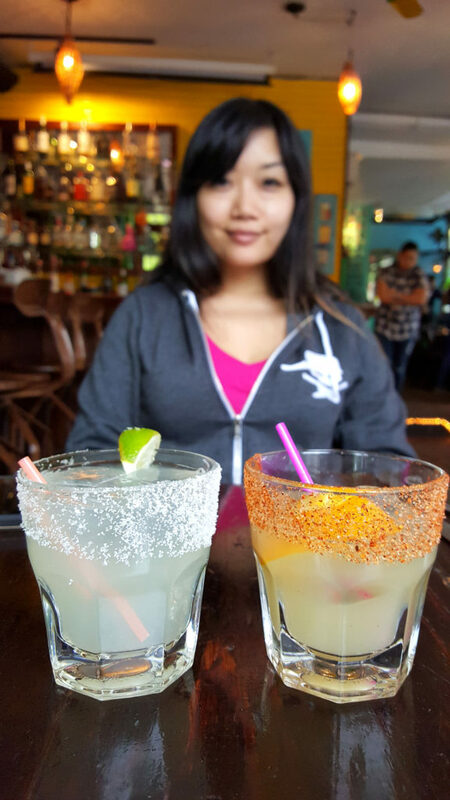 For just $2 you can get these all served michelada style (with lime and tomato juice, which I love). 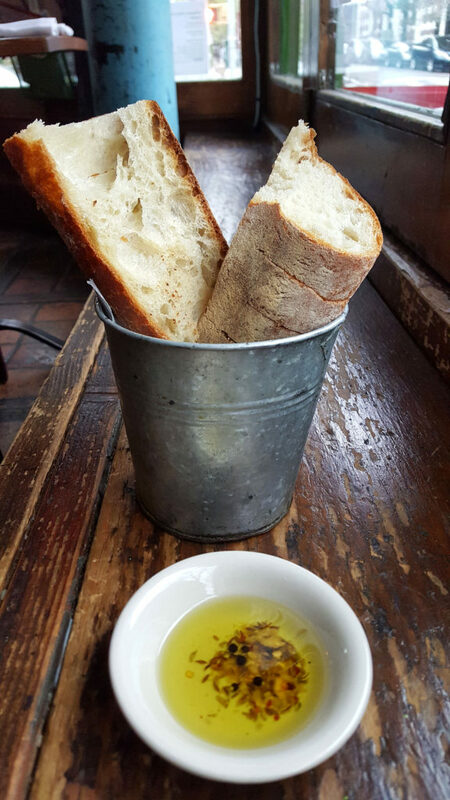 The first thing that Chef Cesar brought to the table was this really nice country style bread with their house made dipping oil, which is also available for sale by the bottle. 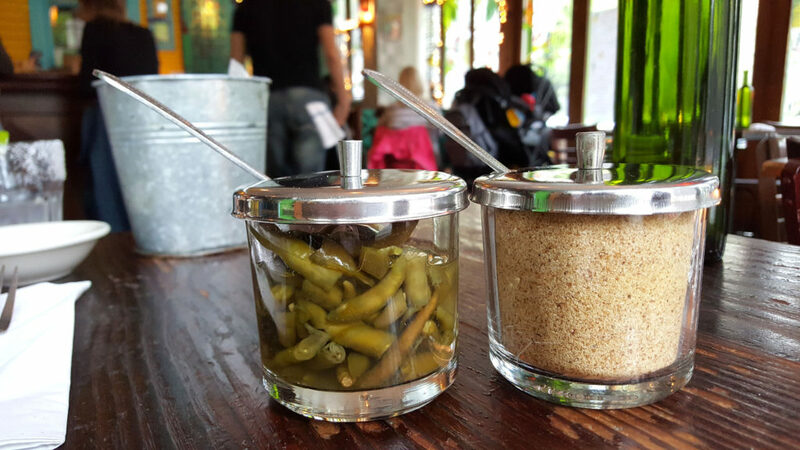 It’s infused with peppercorn, garlic, fennel, red pepper and herbs. It is absolutely delicious. I’ll definitely be going back to buy a bottle of this delicious potion. My wife and I started with two apps. First was the fried goat cheese salad with cashew pesto. This was really awesome. I’m usually not a huge fan of goat cheese, but this was so smooth and creamy inside. It was a great contrast to the crisp outside. And that pesto? Green gold! 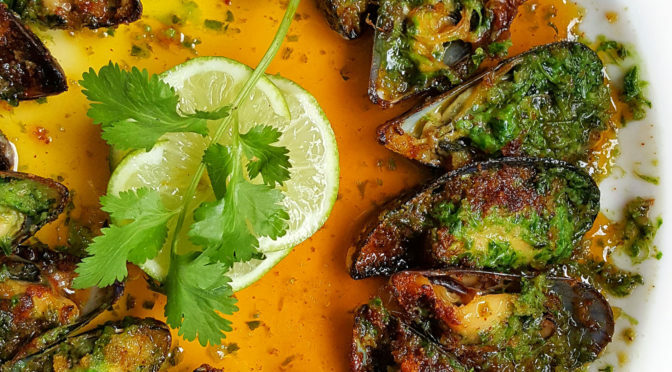 This next app is far and away the best preparation of mussels that I’ve ever eaten. They’re roasted in a half shell and baked with garlic, paprika, butter and parmesan cheese. 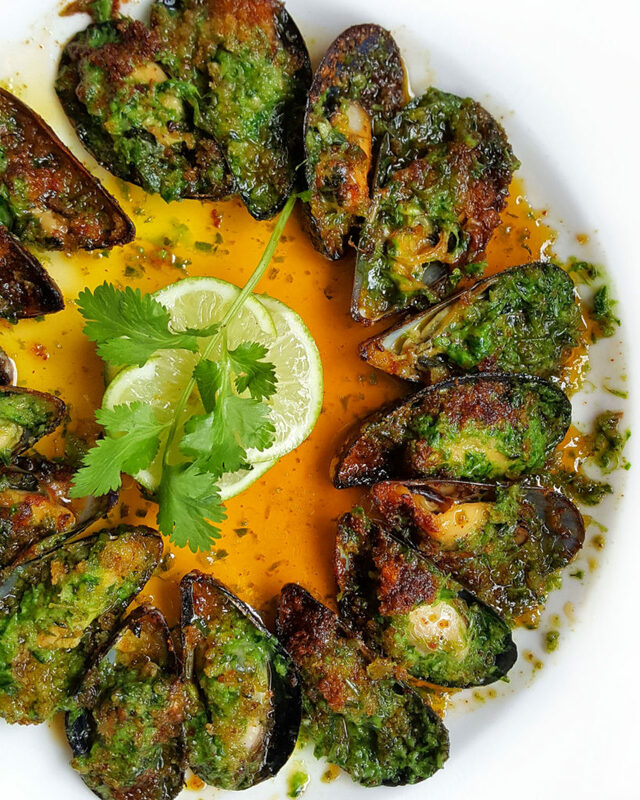 Similar to escargot, this dish really packed a wallop of flavor, especially when you hit it with some of the fresh lime and cilantro. The parmesan turns into a really nice, crust over the top, adding another textural element of crunch. It’s funny, too, because I was just explaining escargot to someone the other day who had never eaten them. I described it as being like mussels, but baked with butter, garlic and herbs as opposed to steamed in a pot. We tried two entrees. 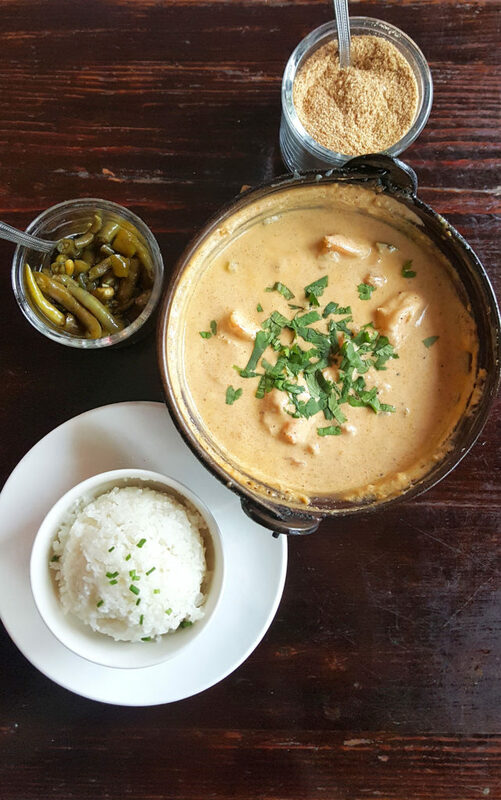 First was the moqueca, a traditional South American stew made with coconut milk, ginger, cashews and spices. 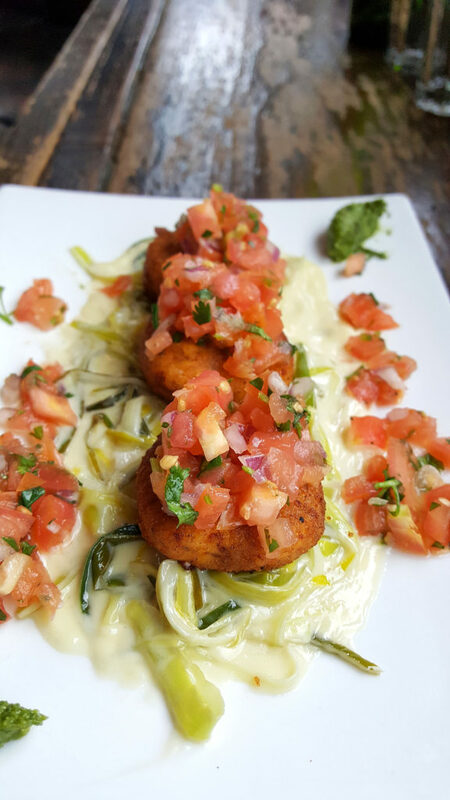 We chose shrimp as the main protein, but you can also choose snapper or a mix of snapper and shrimp. 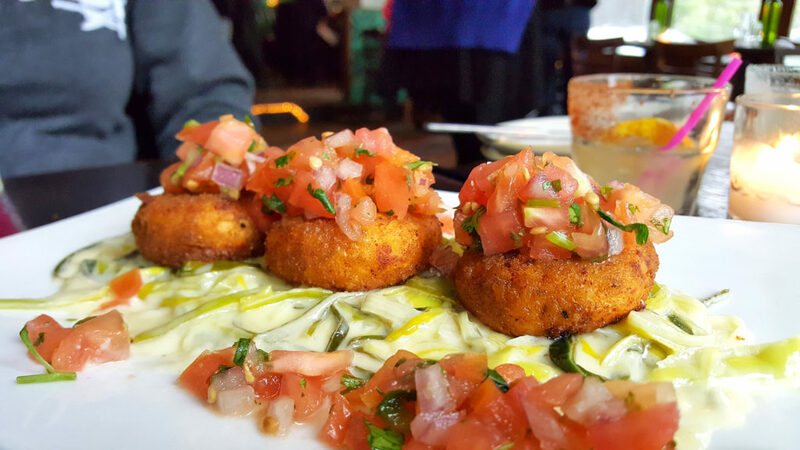 This dish reminded us of a Thai or Indian curry dish, but less spicy. However, the “fixins” will set that distinction aside some, as this dish comes with a jar of pickled hot peppers and farofa (cassava meal starch, for thickening the stew is desired). Add one or both to your desired levels of spice and/or thickness. 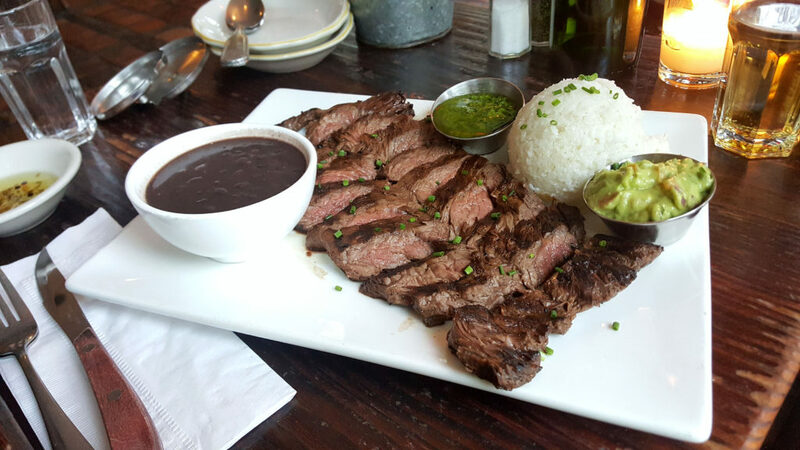 We also tried the Argentinian style grilled hanger steak. 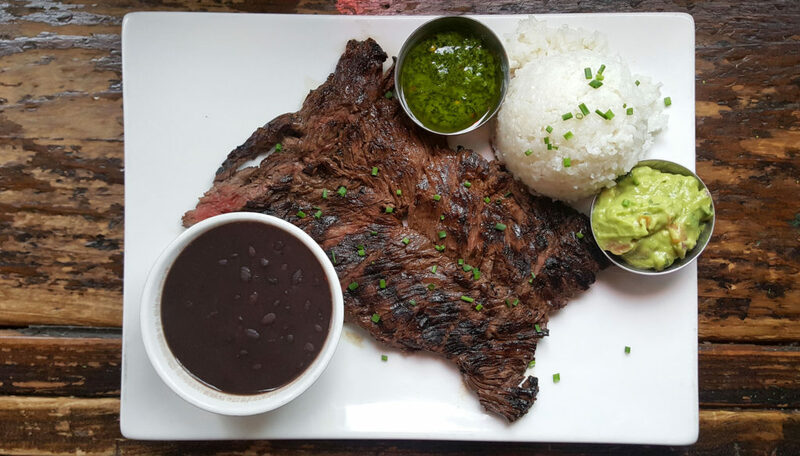 This comes with homemade guacamole and chimichurri sauce, a side of rice, and a side of stewed black beans. The steak comes out pre-sliced and cooked to a nice medium rare. 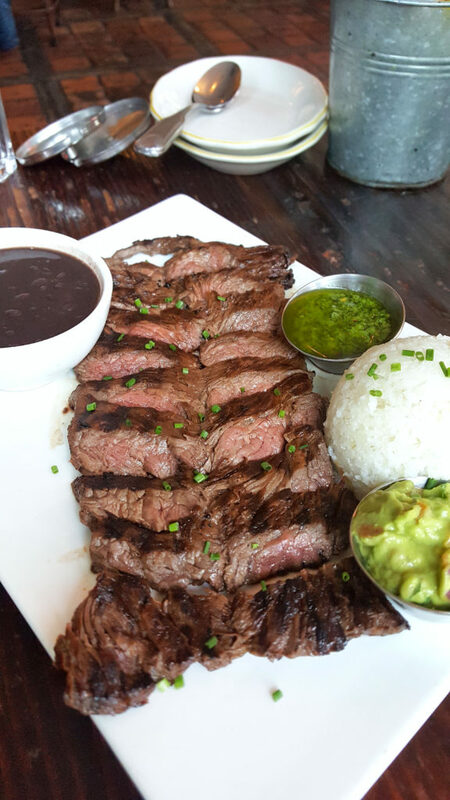 When you slather the sauce and guac onto a slice of steak, you’re entering a blissful and exciting meat eating experience. The flavors really pop! For dessert we tried two items; the homemade coconut flan and the chocolate lava cake. 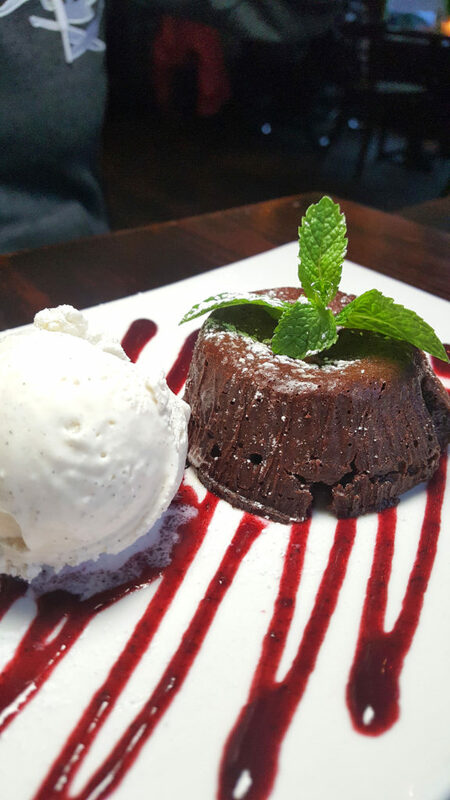 I’m usually not a fan of lava cake, mostly because it is never executed correctly and the middle firms up too much. That wasn’t the case here. The inside was warm and ooey-gooey, and the vanilla ice cream was the perfect way to cool down after each mouth-warming bite. 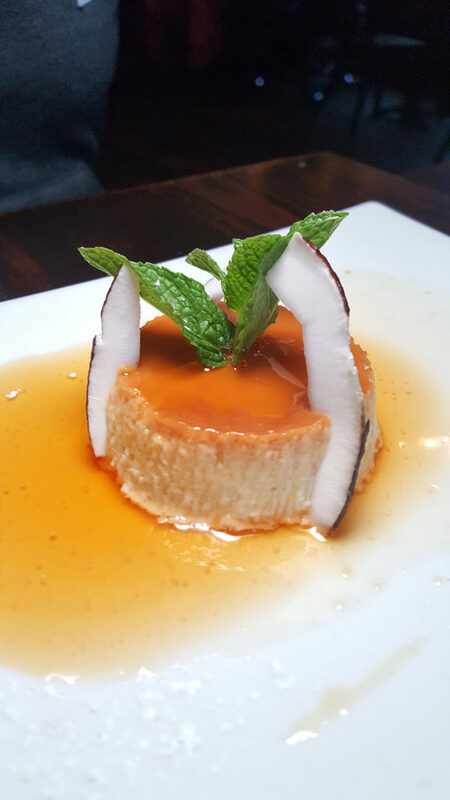 The coconut flan was awesome! It had a really nice firm, custardy texture. It had threads of fresh coconut mixed into the custard too, to offer an additional pop of coconut flavor with each bite. This was a great meal, and I look forward to going back. 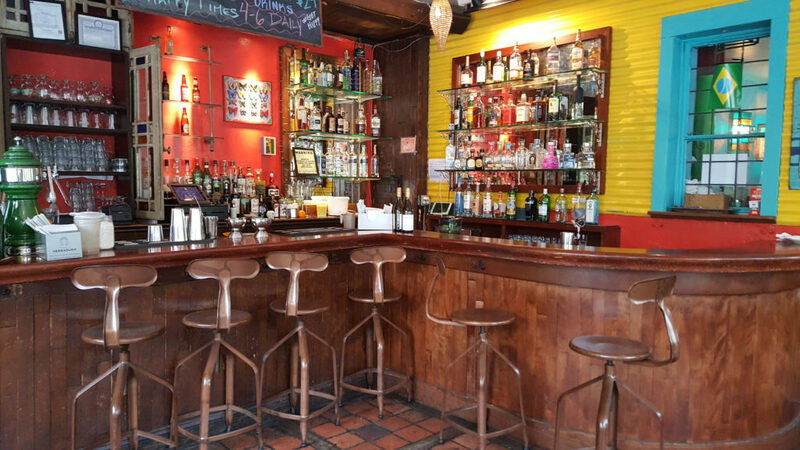 Esperanto has daily happy hour specials, and nightly entertainment like bands and DJs. It’s really a great place. 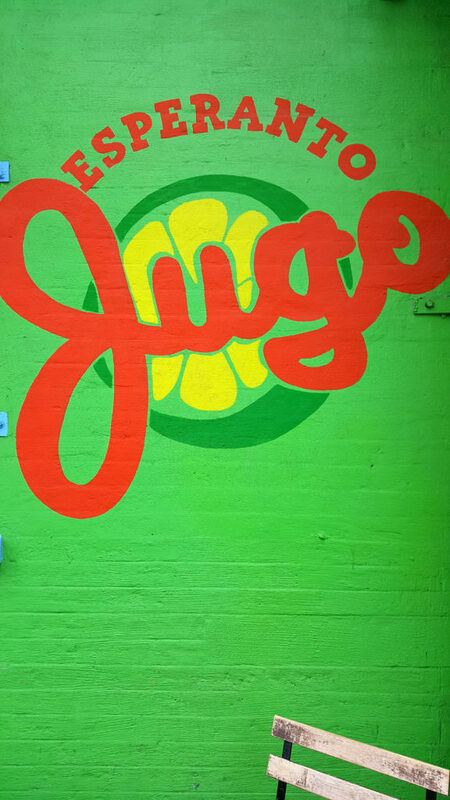 They even have a fresh juice bar off to the side of the restaurant. Give this place a shot!